Yoga teachers. Fitness leaders. Dance instructors. Studio owners. Performance Athletes. At Beatnik, we know how much effort you put into shining your light, and we want to help you shine a little brighter. By sporting movement wear from our collection of ethically-sourced, sustainably-produced, and socially-responsible brands, you are an agent for change. Beatnik’s thoughtfully selected local and global brands are doing their part to change our consumer habits: reducing our carbon footprint, ensuring labour standards are upheld, supporting artist- and small maker-driven companies. NoMiNoU and Tonic Active are designed and produced in Vancouver. Hannah Stone is designed on Salt Spring Island and made in Canada. Uranta Mindful Clothing, made in Mexico, uses upcycled materials salvaged from the fast fashion industry. Every brand supported by Beatnik is in some way doing good in the world, and joining the Beat Fleet means that you are an Advocate for Good. insider opportunities to be connected to Beatnik brands for possible sponsorship. 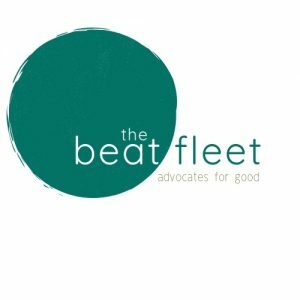 To join the BeatFleet, please complete the application form below.